Born in 1952, he was an actor and activist who, among other achievements, helped organize the People of Color Aids Conference. He died of complications from AIDS in 1990. 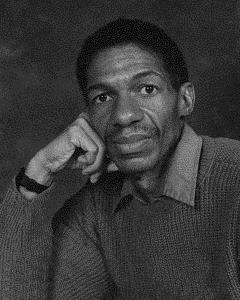 Born in Buffalo, New York, and reared on Chicago’s South Side, Ortez Alderson became involved in gay causes in 1969 with the emergence of the Chicago Gay Liberation Front. He became a leader of the Third World Gay Revolutionaries and was involved with bringing gay issues into the Revolutionary People’s Constitutional Convention (organized by the Black Panther Party) in 1971. He was also an anti draft and antiwar activist; as a member of the Pontiac Four, he spent almost a year in prison for breaking into a draft board and destroying files. During the ’70s, Alderson studied acting; he appeared in numerous productions in Chicago throughout the remainder of the decade, specifically dedicating himself to the promotion of the gay, Black male. Alderson moved to New York in 1981 and continued his work in the theater, adding directing to his acting talents. He joined ACTUP/ New York in 1987, and he helped to organize numerous sit-ins and demonstrations. He also took part in the 1987 National March on Washington, where he was arrested at the sit-in at the Supreme Court. Alderson and his life partner, Arthur Gursch, returned to Chicago in March 1989. A month later, Alderson was hospitalized with PCP. After recovering, he became active in ACT-UP/Chicago. In April 1990, Alderson helped to organize the People of Color AIDS Conference in Chicago. He also participated in and demonstrated at the VIth International AIDS Conference in San Francisco in June 1990. Shortly after returning from California, however, Alderson’s health began to decline rapidly. Ortez Alderson died on December 21, 1990.